I was stumbled upon this contest from BPM. Have you heard about them..?? I believed most of you knew them. 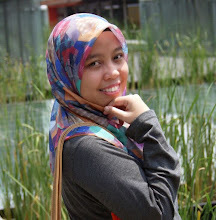 They are the organizer of Blog Pilihan Malaysia 2010 which have been held recently. The top bloggers were in the list and the competition was really really HOT! Big congrats to the winners~!! Congratulations! You guys deserved it~!! The latest news, they're organizing another contest which is called Blog Baru (2010) Pilihan. This contest is open to any new blogs. New blogs here means - "The first entry in your blog must be in this year (2010)". See the tick-tock ticker below..
OK. Checked! I am eligible. My first entry was on April 20, 2010 entitled "The red roses are poppin..!!" With this entry, I am officially announce that I am joining this contest! Pheww~!! I'm nervous. It's my very first contest, peeps! By the way, I don't have much expectation. I'm just trying my luck. Peeps, lets grab this opportunity if you're eligible. It is OK if we're not winning the contest but this is an OPPORTUNITY. In other words, it is one of our way to make our blog 'VISIBLE'. Hurry up! This contest ends on Dec 8, 2010 (Wednesday, 3.00pm). All the best peeps~!! blog awak pun baru tahun ni kan..?? hehe..tq sis..kina da draf da..hehe..;)..kina link sis nyomel dekat entry tu nanti..
wow..irine menang,cik nadia bayu menang jugak,hehe..diorang deserved to get it kan..
Ciksue: tuh laa.. dorang mmg deserved it. btw, tq for the compliment. kite maseh budak baru blaja. byk lg yg xtau ni.. tq sbb sudi jenguk belog picisan ini.. hehe! salam ziarah.. blowalking meyh.. kita jiran.. :) 157..157..157.. GOOD LUCK!